A internal lift to take you to the pool level. Tinside Lido opens for Summer season on 25th May 2019. Overlooking the sea in Plymouth harbour, Tinside Lido is consistently voted in the top 10 of Europe’s outdoor pools. Built in 1935, the lido is archetypal of the then popular art-deco style and is Grade II listed. Open only during the summer months, this beautiful salt water swimming pool is perfect for everyone and is fully accessible to people of all needs. 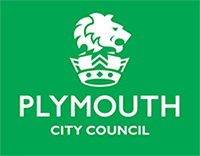 As well as the pool itself, the facility also features a sun deck, which is generally considered to be one of the best places in Plymouth to soak up the sun, so remember to bring the sun cream. Open during the summer months, this fantastic, Grade II-listed outdoor salt water swimming pool offers both locals and visitors beautiful surroundings in which to swim and sunbathe. There’s both a shallow end and a deep end, as well as several water features. The sun bathing terrace is a fantastic place to relax and top up the tan or sit with the family to have a picnic. The large open area also perfect for hoisting a number different events. Previously, we’ve held cinema evenings, dance performances and live music. Our cafe serves a wide range of snacks including hotdogs and confectionary, as well as refreshing drinks. It’s perfect for grabbing a coffee and an ice cream to help relax in the sun. We’ve got a huge range of swim kit to choose from.